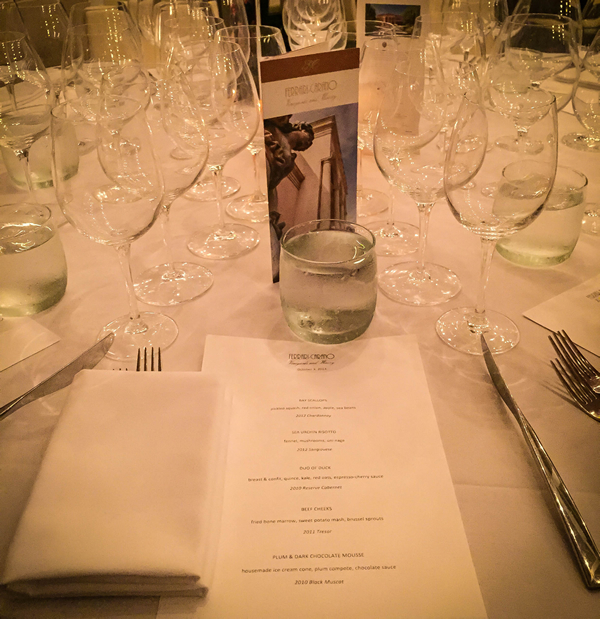 We recently had an opportunity to attend a dinner event at Cafe Del Rey. 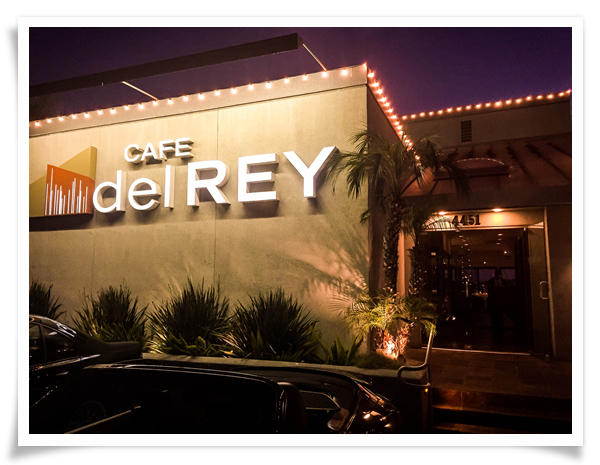 Cafe Del Rey is a restaurant located in Marina Del Rey, and they occasionally have a set course dinner with wine pairings from a specific winery. The menu sounded great, with a couple of our favorite items such as uni and bone marrow. The clincher was the winery they were featuring, Ferrari-Carano. 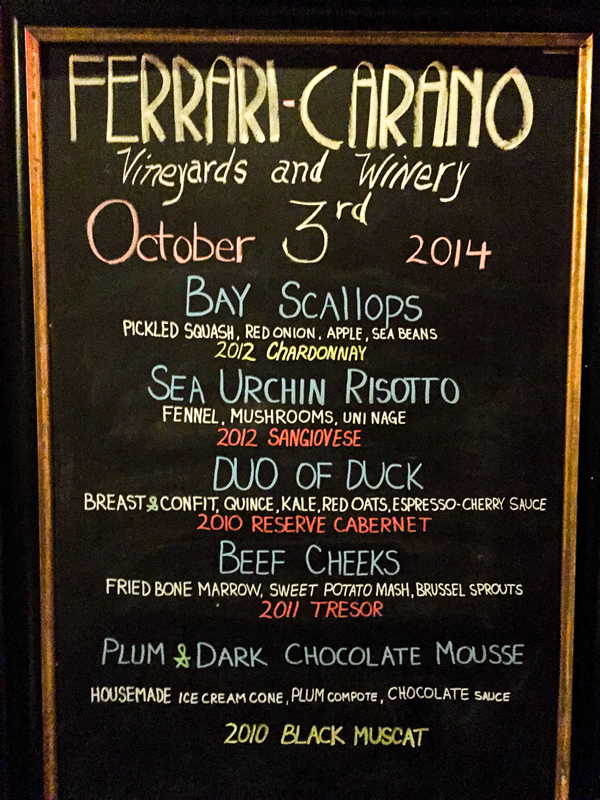 Even though I prefer red wines, I've enjoyed Ferrari-Carano white wines on occasion. Besides, a 5-course meal with wine pairing for $85? I was sold! I didn't know what to expect, but when we walked in around 7, there was already a big group of people at the bar. 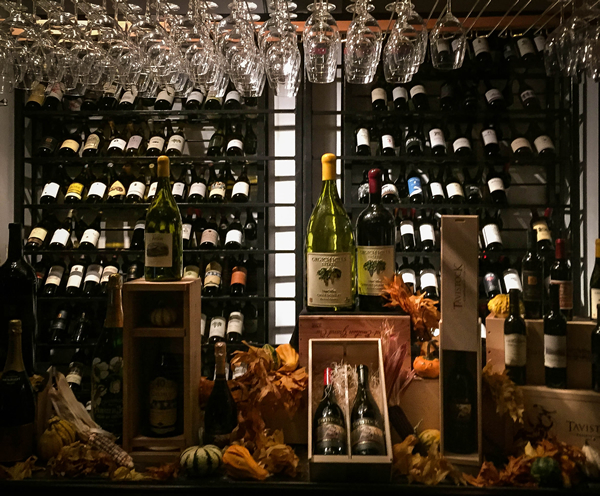 The hostess led us to where Ferrari-Carano representatives were pouring some champagne and white wine for guests. They were friendly and welcoming. About 20 minutes and couple of hors d'oeuvres later, we were seated in a private room with 7-8 big tables. We sat with 3 other couples, and we had some time to introduce ourselves. Dinner started with welcome speeches from the general manager of Cafe del Rey, the executive chef, and the representative from Ferrari-Carano. 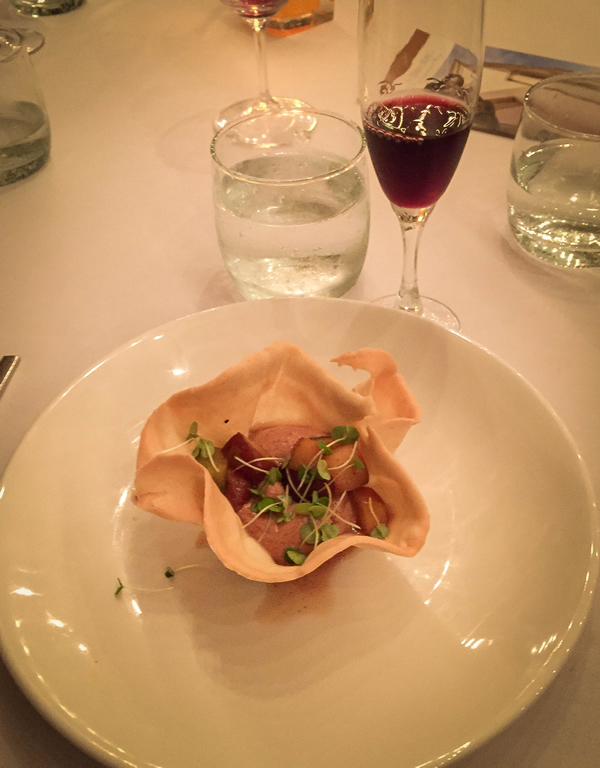 Then it was on to food (and wine)! 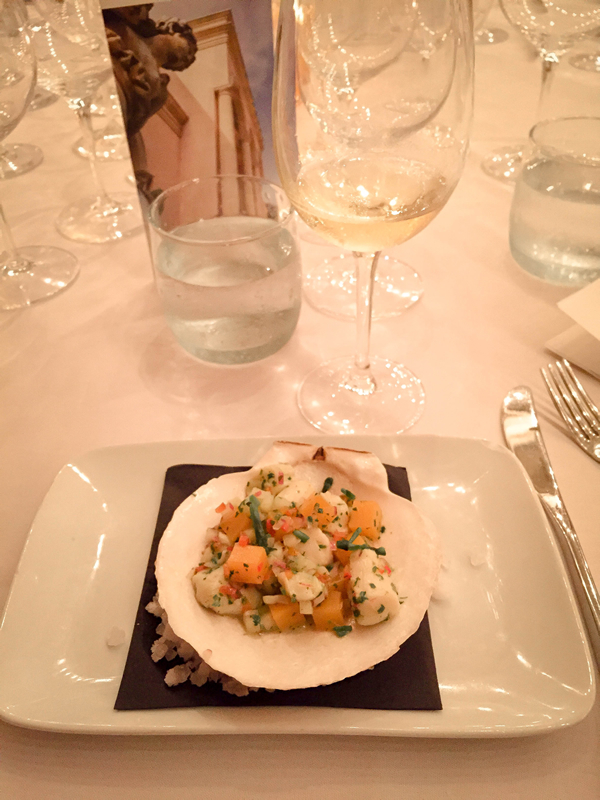 First course was bay scallops, served on a half shell resting on rock salt. The wine was Chardonnay 2012. Loved the wine. The bay scallops were just ok. I'm not a big fan of bay scallops in general, I prefer the big diver scallops. Second course was the uni risotto with 2012 Sangiovese. I was looking forward to this dish the most. I was a little disappointed with the dish, because I didn't get a strong uni flavor. It would've been lovely if they had a piece of uni on top, but I understand that might be too much wishful thinking. 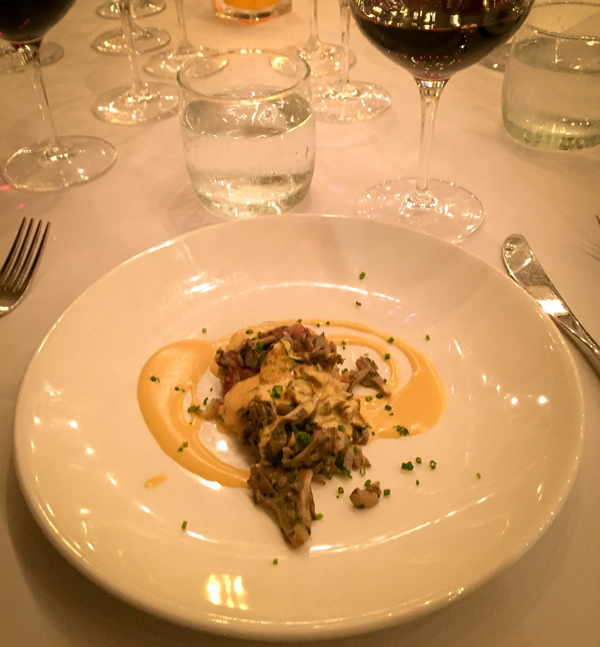 Overall, I liked the dish, loved the wine. 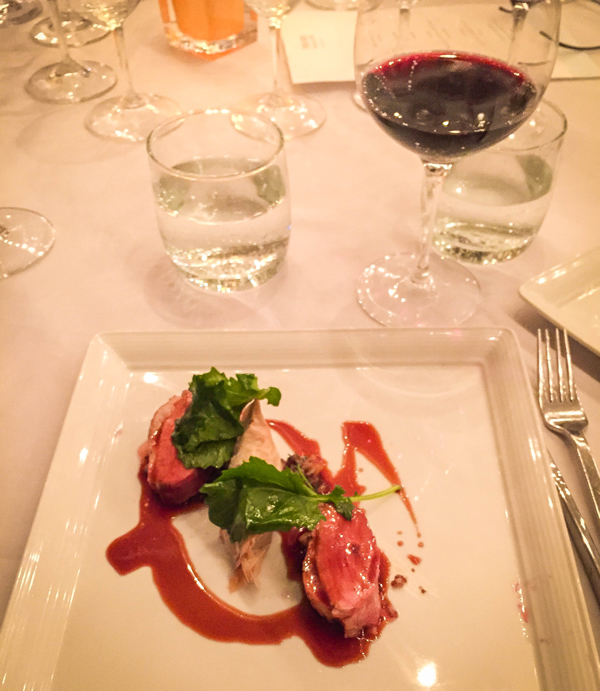 Third dish was duo of duck with 2010 reserve Cabernet. I like duck, so this was great. My neighbor next to me wasn't a big fan, but I thought it was cooked perfectly. 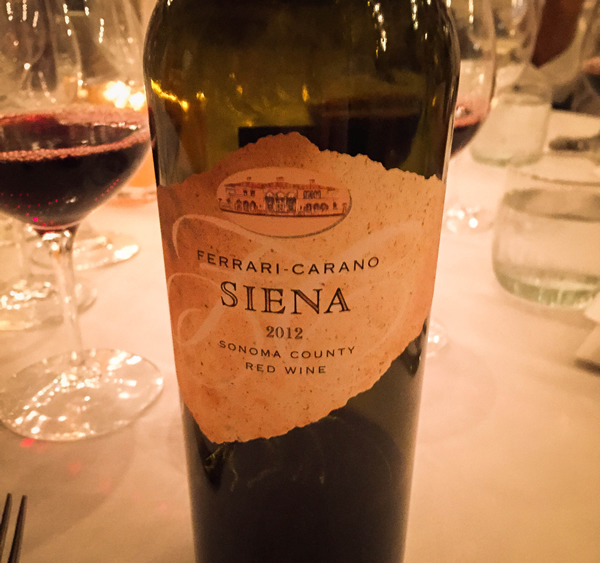 Also another great red wine from Ferrari-Carano. I guess my impression that they were only known for their white wine was a misconception. 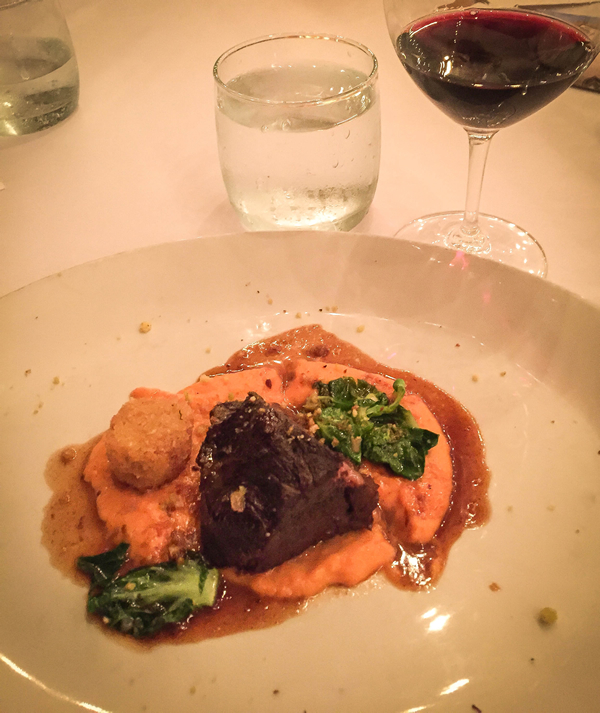 Fourth dish was their beef cheek with fried bone marrow, sweet potato mash, and brussel sprouts. Really, they had me at fried bone marrow. It was great, and the 2011 Tresor didn't hurt either. By this time, I was feeling pretty good, so I don't think my memory is completely reliable, but I enjoyed this dish to the last bite. Dinner finished off with a chcolate mousse and 2010 Muscat. I think I polished off the dessert without tasting anything. Wine was overflowing all night, thanks to the wonderful staff at Cafe Del Rey. By the time dinner was wrapping up, people were telling their life story to complete strangers, laughing at stupid jokes, and even getting into fights with their significant others (the couple next to me got into an argument and left dinner early). We all know what alcohol can do to people! I had been to a similar event at Lawry's in Beverly Hills long time ago, and this was another fun experience. I'd definitely come back again when I feel like my liver can handle it. 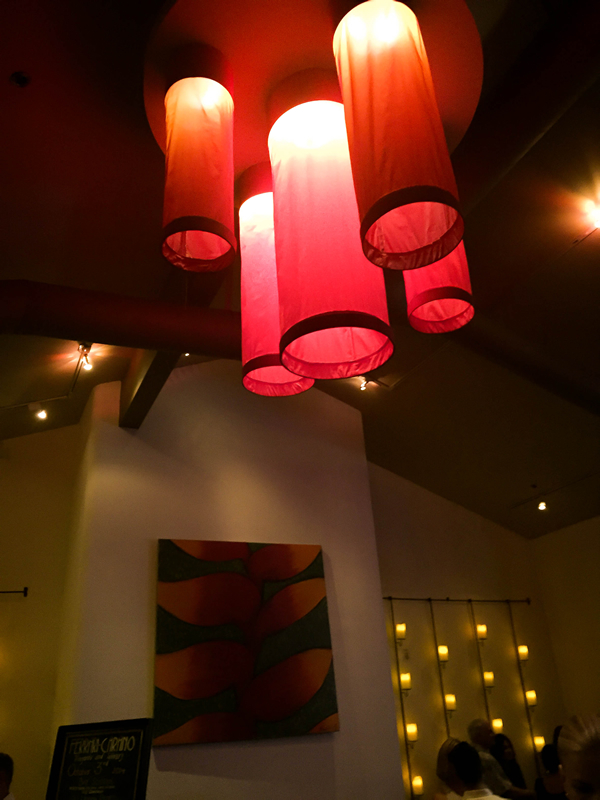 You can't go wrong with great food and excellent wine... good times!